Gary Rome Hyundai Dealer Blog - A Gary Rome Hyundai Site (888) 637-4279: Hyundai Truck: It Should Come In Medium! In a month from now, Hyundai will give a final confirmation on whether they will produce a pickup truck for the US market. Even when the decision is not made yet, we can expect the idea to get the green light. Even so, how big should the pickup truck be? 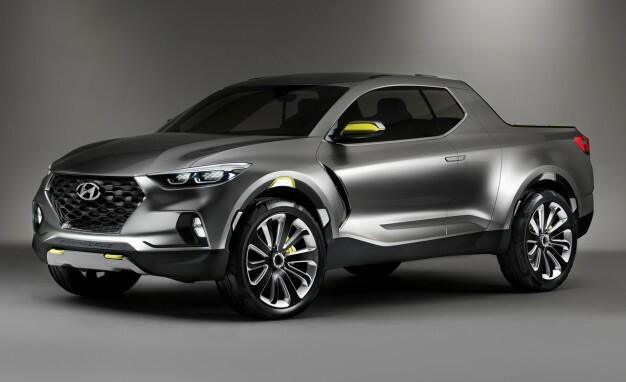 Well, it is best for Hyundai to produce a mid-sized pickup truck and here’s why. For starters, the sketches suggest that the pickup truck is based on the Santa Cruz. The Santa Cruz is considered as a mid-sized SUV and if it is to evolve into a pickup truck, it will definitely be a mid-sized model. Then there is the void in the mid-sized pickup truck segment here in the US due to the absence of an all-new generation of Ford Ranger. This will give Hyundai the best opportunity to compete in the pickup truck market. The above should be enough to convince Hyundai why they should produce the pickup truck as a mid-sized model. We won’t be surprised if it is actually based on the Hyundai Santa Cruz.